Laserfiche announced that CRN has recognized Laserfiche in its first ever 2016 Partner Marketing Guide. This new CRN guide, featured on crn.com and in the August issue of CRN, serves as a handbook of marketing programs, support and resources for channel partners looking for marketing-savvy vendors that can help drive demand for products and services. “We constantly have our ear to the ground to help Laserfiche resellers identify trends in the marketplace and adapt to the evolving enterprise content management market,” said Hedy Belttary, Senior Vice President of Sales at Laserfiche. The Laserfiche VAR Program provides corporate marketing assistance to help channel partners target their sales efforts and grow revenue. This support includes a constantly updated library of marketing campaign materials and co-op marketing dollars to generate leads through efforts including advertising, industry conferences and search engine marketing. New for the channel in 2016, Laserfiche introduced marketing onboarding training, sales and customer reporting, and analytics training—to enable channel partners to effectively create and evaluate targeted marketing campaigns. More information about the Laserfiche VAR Program is available online or by calling 1-562-988-1688. 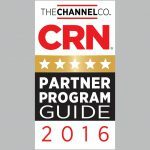 The 2016 Partner Marketing Guide will be featured in the August issue of CRN and online at crn.com.